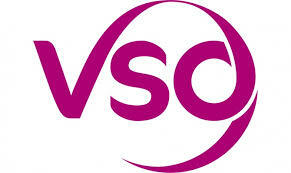 VSO is the world's leading international development organisation that works through volunteers to fight poverty. Working in 24 countries around the world, our unique role in international development is to place committed volunteers with carefully selected organisations where their skills can have the greatest impact. As a VSO volunteer you'll live and work in some of the world's poorest communities. By sharing your unique skills and experience you'll help generate new ideas and new ways of doing things, helping the communities you work in lift themselves out of poverty. We're not about delivering quick fixes, but instead we focus on long-lasting, sustainable change, that will impact generations to come. Join us as a VSO volunteer and help us work towards our vision of a world without poverty. Good communication skills, both written and verbal. The ability to explain complex technical ideas clearly and succinctly to non-experts. Using a service management system (e.g.Hornbill). Windows operating systems incl. Windows XP &Windows 7. Microsoft Office packages including 2007. Much has changed since VSO started 60 years ago. We've gone from being a UK charity to a truly global development organisation. In 2016/2017 alone, we worked with over 7,000 volunteers from all over the world and from all backgrounds to deliver services that had an impact on the lives of almost 2.6 million people in the 24 countries where we work. Our programmes focus on the areas of health, education and livelihoods, with an increasing emphasis on resilience building, social accountability, gender and social inclusion. We believe progress is only possible when we work together and that strong partnerships are crucial to delivering positive change. That's why we work with over 500 partner organisations, from local and national governments, to businesses, NGOs, funders, charities and community groups. Currently, over 30% of our people are recruited from within the country in which they work, and we continue to grow the share of community and national volunteers involved in our programmes. We also send increasing numbers of volunteers from one developing country to another. However, our vision has remained the same; to build a world without poverty. If you're interested in applying for this role, please download the job description for more information.